If things are going to plan then my ship will be coming back into the UK today and this will be the end of my imposed silence! If things go quiet on the blog then my voyage had been extended…. But I am looking on the positive side of things and everything will go to plan. So to celebrate my return home (hopefully!) 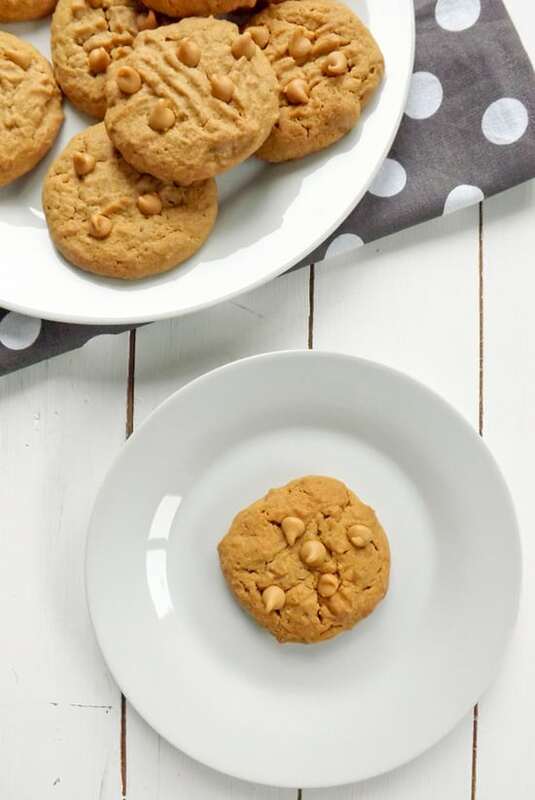 I am going to share one of my all time favourite recipes with you and yes of course it is peanut butter flavoured 😀 Peanut Butter Cookies. Grab your FREE copy of 'The Little Book of Healthy Recipes' and sign up for weekly recipes. 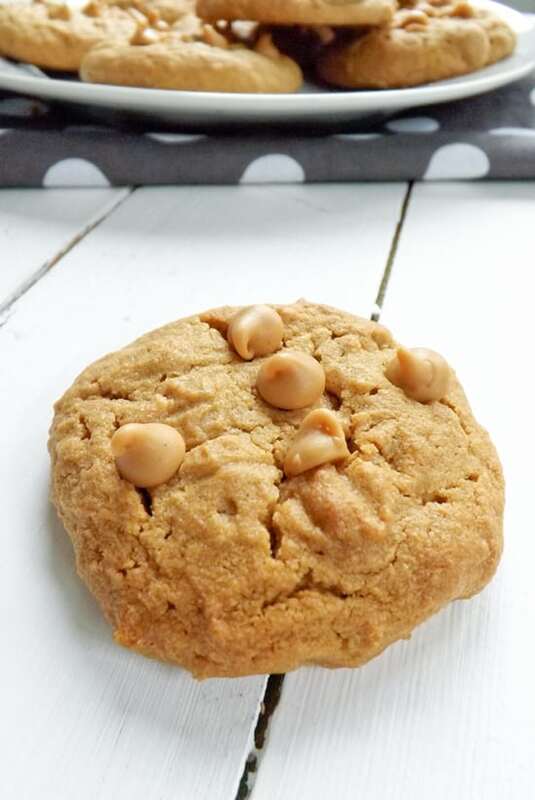 The cookies themselves have a whopping 225 grams (a little over 3/4 cup) of peanut butter in them and to give even more peanut butter bliss I have included peanut butter chips in these cookies. These are soft buttery cookies that just melt in your mouth, and are insanely addictive. One is never enough. I know these will be the first thing I will be baking when I get home. The aroma from the oven while they are baking is so good. 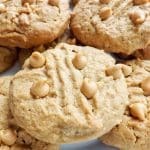 The only down side to these cookies is the dough can be a little sticky to work with because of all the butter and peanut butter in them. This recipe is not for the faint hearted. But with a little time in the fridge the dough does become easier to work with but still expect sticky hands. But when something tastes this good, whats sticky hands between friends? 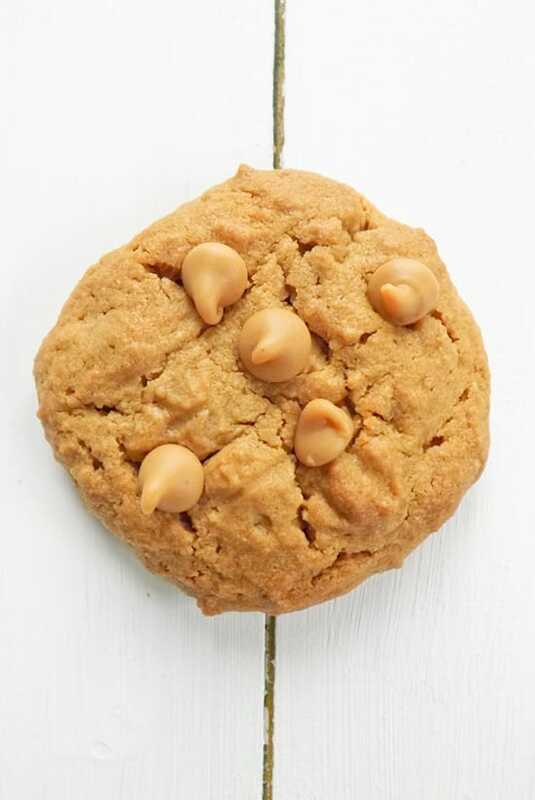 A soft buttery cookie packed full of peanut butter that will just melt in your mouth. Warning these cookies are insanely addictive! Beat the butter and sugar together till it is light and fluffy. Add the egg and vanilla extract and beat again until fully incorporated. Stir in the peanut butter. Sift in the flour, baking soda and salt and gently fold to bring it all together. Fold in the peanut butter chips if you are using them. Then chill the dough in the fridge for at least 30 minutes. Preheat your oven to 180C / 350F / Gas mark 4 and get a couple of large baking sheets ready. Roll the dough out into 24 balls. When they go on the baking sheet press them flat with a fork to about 2 and 1/2 inches (6cm) wide making a criss cross pattern. Bake in the oven for 10 to 12 minutes. When you bring them out of the oven leave them on their tray for a few minutes before transferring them to a wire rack to fully cool down. Then enjoy. If you keep them in an airtight tin these cookies will last 5 to 7 days.... good luck in keeping them that long! 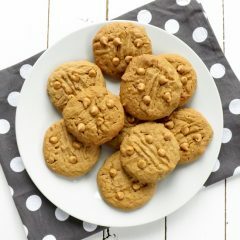 I just LOVE peanut butter cookies! These look truly magical – like the addition of peanut butter chips too (I wish we had those in Australia). So good! 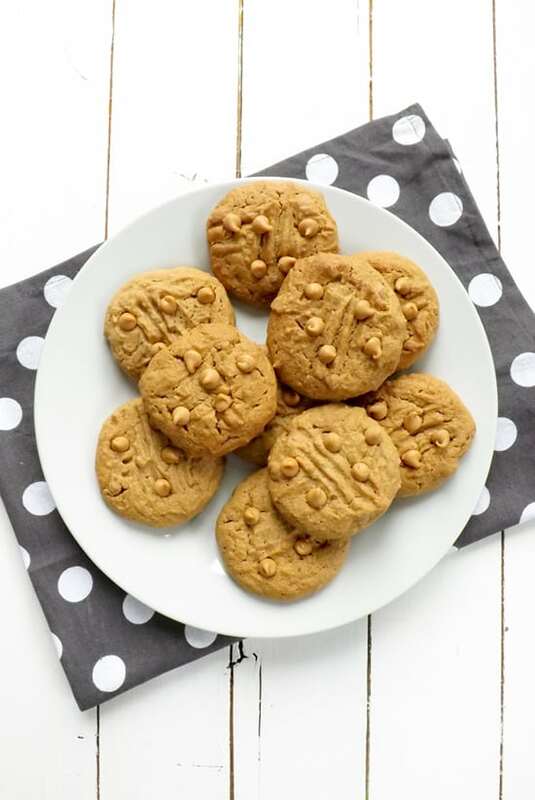 The more peanut butter the better and these look so soft and chewy. I think I’m going to have to head into the kitchen and whip up a batch. This cold weather has me ready to eat like I’m going into hibernation. Hi Miranda, you are right you can’t go wrong with more peanut butter 😀 The cold weather does make you eat more….. I am sure that is a science fact!!! Well it’s lunch time here and now all I want is these cookies! Hi Pamela, thank you in my book they make a perfectly acceptable lunch! Oh mine, I suddenly have a big appetite for peanut butter cookies! Welcome home! 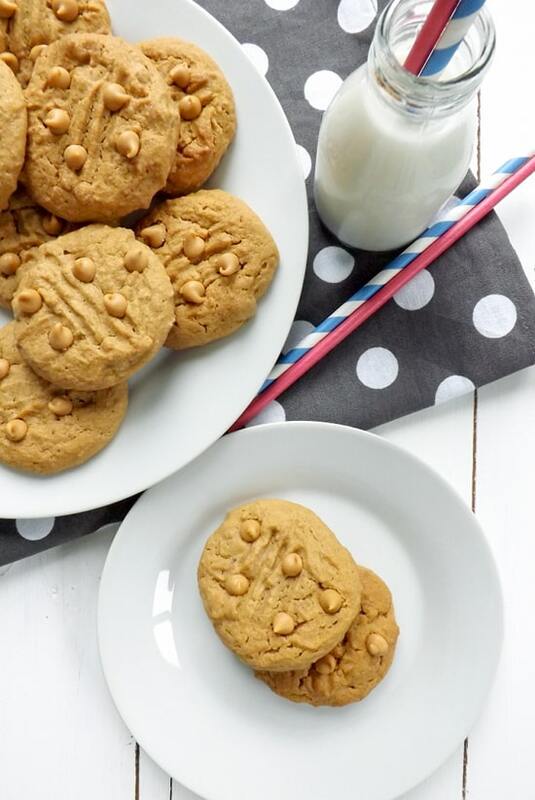 Love the double dose of pb…and so would my kids! Soft and buttery and peanut buttery too. I hope this is a good week for you. I need to find some peanut butter chips! These cookies look awesome, Emma. Hi Angie, thank you 😀 I had to go online to find them as I couldn’t find them in the UK shops. These cookies look amazing! 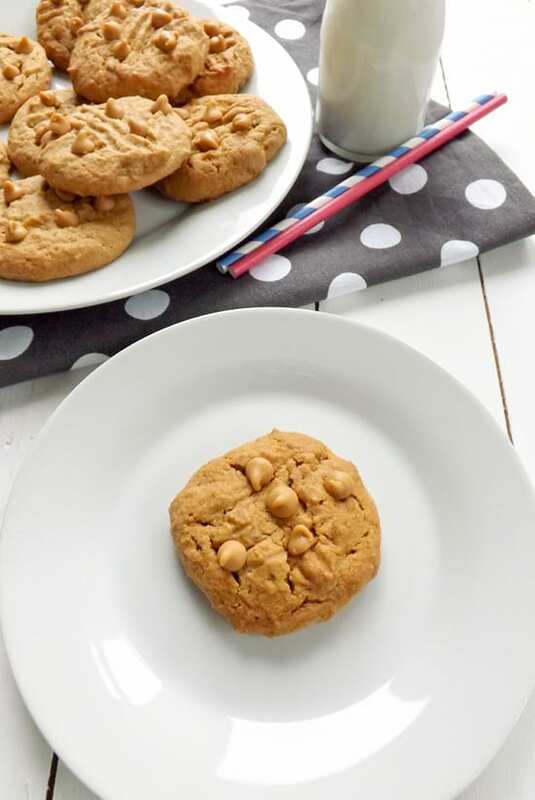 I love traditional peanut butter cookies, but adding peanut butter chips is a great idea to make them even better! Hope your travels went according to schedule and welcome back!